As the International Polka Association prepares to celebrate its 50th anniversary, the organization is proud to announce the release of a historic recording: “Here’s a Gift”. All Hall of Fame Inductees were invited to participate in this project, and the result included 39 Hall of Famers! Never before has such a collection of polka stars come together to perform on the same song. 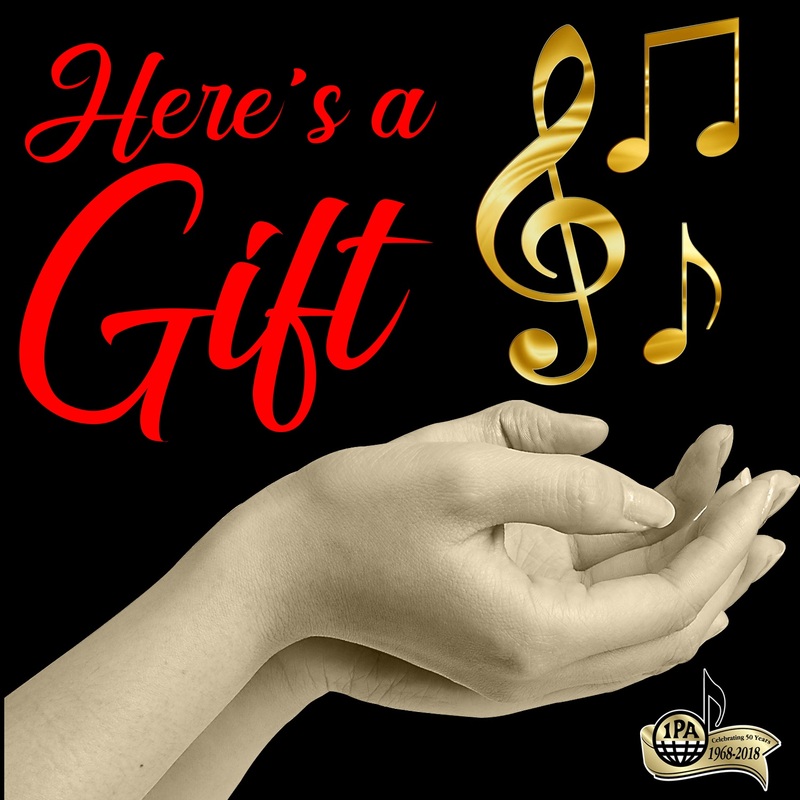 The song “Here’s a Gift”, written by Randy Koslosky with music performed by the IPA Tribute Band, tells of the greatness of polka music and discusses passing on that legacy. This reflects the mission of the IPA and the work that these polka stars have carried out during their lives. This has been a monumental endeavor from a logistic and engineering standpoint. Laura Mateja has acted as executive producer in coordinating everyone involved. With Hall of Famers spread across the country, the project required recording sessions at 16 studios in 10 states and Canada. This was made possible through the generosity and cooperation of engineers and studio owners. The lead engineer was Kevin Altenburg who had the daunting task of piecing together all of the contributed vocals, mixing the music, and perfecting the overall sound. All participants gave their time and talent without compensation to present this song as a complimentary gift for all to enjoy! The release of this recording is happening in anticipation of the IPA’s 50th anniversary celebration, set to occur at the IPA Festival and Convention on Labor Day weekend. It is the hope of all involved that the message of this song will resonate with all polka fans, uniting us through our shared experience of heritage, tradition, and love for this music. And now we present . . . . . . . . . . . “Here’s a Gift”! Starring 39 International Polka Association Hall of Fame Inductees!